We at PhonicsTrain strive to make the learning experience as engaging as possible. With an array of elements comprising of visual cues, flash cards, animations, sounds and illustrations, we believe learning can always be a delighting experience. PhonicsTrain is an android learning app driven by a purpose based learning framework, where the children are taught to make relationships between letters and phonic sounds, identify the unique phonic sounds different combinations of letters make, construct meaningful sentences and enhance their command over language as a whole. With over 500+ sounds, animation, flashcards and illustrations, learning does not get any richer than this. Upon completing every module, it is mandatory to successfully clear the level based test in order to progress to the next level. Who doesn't love pleasant surprises? 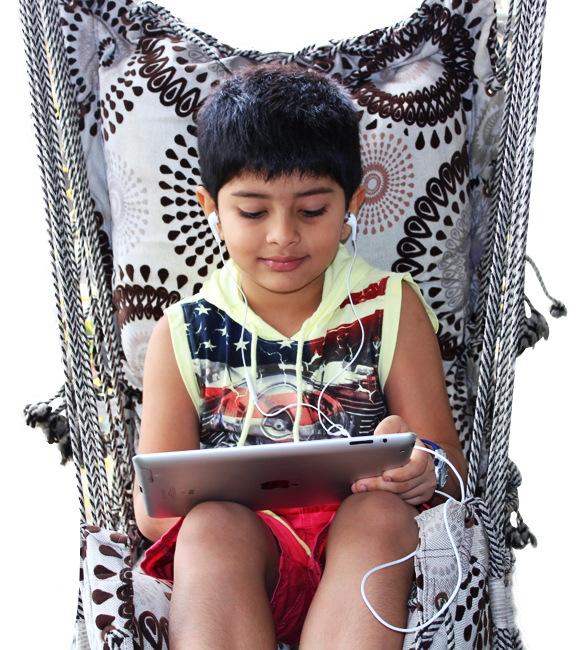 That's why PhonicsTrain un-boxes rewards to users as they progress through the various learning modules. Devang Hemani, a financial advisor, working for broking firms since 1991. He has a proven record with sole responsibility for marketing and promoting Kidzone. Creative in nature, empathetic and passionate towards children's education. her only aim is to teach the children the way they want to learn. Mastered the art of designing solutions as per the business requirement. He worked with top design and production houses in India and the middle east. 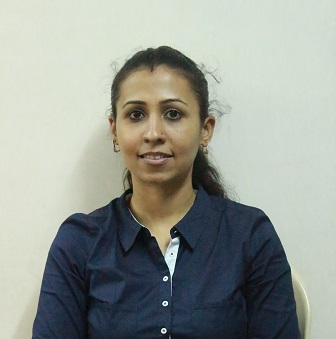 Richa shah, a very sensitive, dedicated and focused learner herself. She is a graduate of mass media and a teacher at Kidzone since 2012. 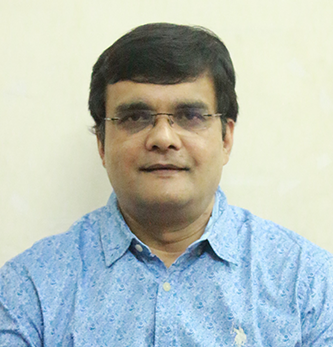 Devang Hemani, a financial advisor, working for broking firms since 1991. A gentleman with practical approach towards life. Given his past experience in finance and operations industry, he has a strong hold and knowledge about operations and investment and strives to always deliver the best services. He has a proven record with sole responsibility for marketing and promoting Kidzone, his wisdom and experiences of life has taken Kidzone a long way. Creative in nature, empathetic and passionate towards children's education. 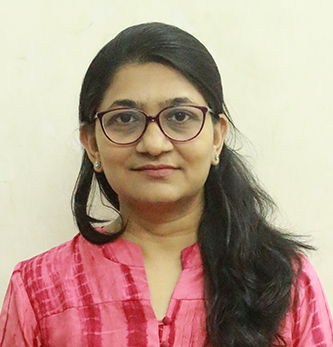 she is successfully running her Multi activity centre “Kidzone” in Mumbai since 2004 and very popular among children and parents, for her teaching approach, her only aim is to teach the children the way they want to learn. A Business and Design Professional with over 15 years of collective experience in business consulting, Application Design, Digital Marketing, Animation and Visual effects. Have Mastered the art of designing solutions as per the business requirement. 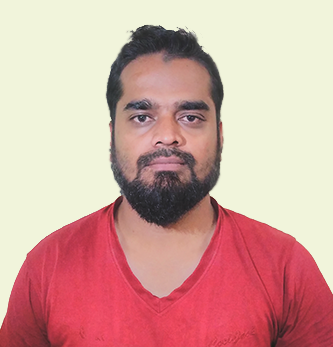 He worked with top design and production houses in India and the middle east. 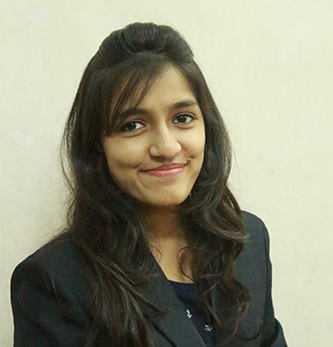 Richa shah, a very sensitive, dedicated and focused learner herself. 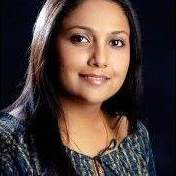 She is a graduate of mass media and a teacher at Kidzone since 2012. Very particular about quality and result, her hard-working attitude along with her desire to constantly improvise herself will take her a long way to be successful with kids and education. With one little chug at a time, the PhonicsTrain takes you through 12 modules(boogies), each one of them meticulously designed to meet a specific learning outcome. This module consists of 26 alphabetic sounds, which are further divided into 5 vowels and 21 consonants. Making the children aware of the 26 Phonic sounds. With over 150 three letter words, the second module involves building base words that involve all the five vowels. Teaching the 3 letter words from all the vowel families. This module is crafted to teach the child the maximum possible four letter 'Blends'. This is the largest module where all the four categories of blends are taught. Learn 4 letter words through blending. Initial & end blends. 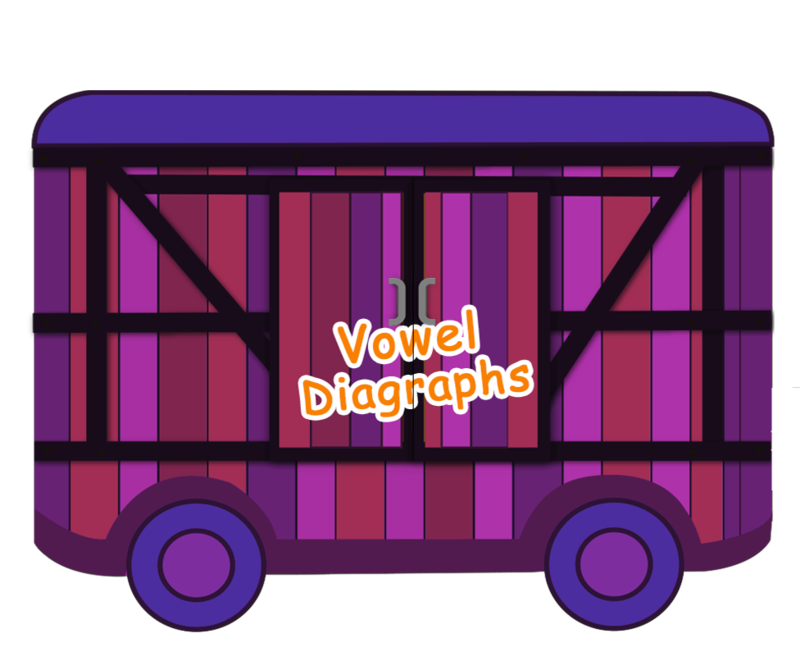 Switching to a higher level, this module introduces new rules that enhance the child's reading skills through 'Vowel Diagraphs'. Vowel diagraphs are combination of vowels that make a new sound. Consonant diagraphs are two consonants that come together to make new sound. More than 150 words made are taught with illustrations. 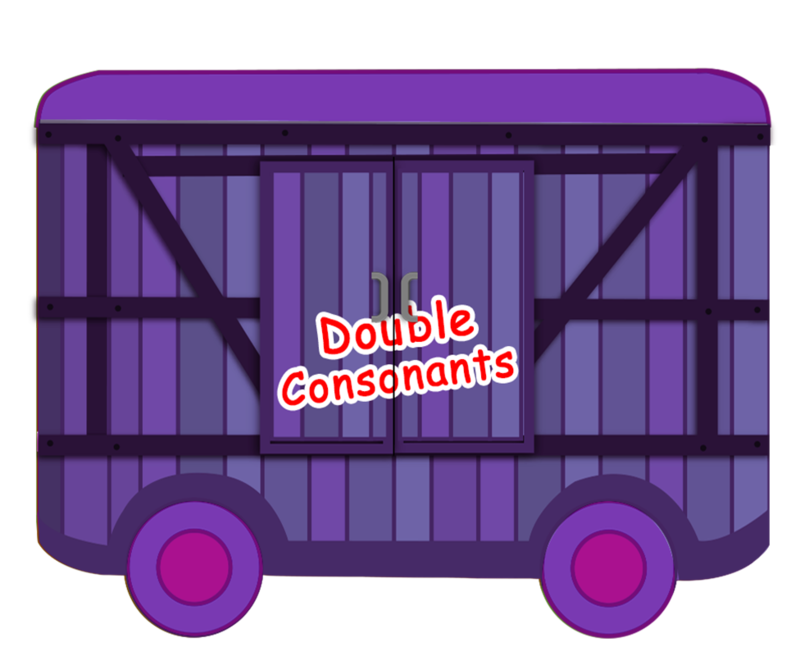 Consonant diagraphs are 2 consonants that together make a new sound. 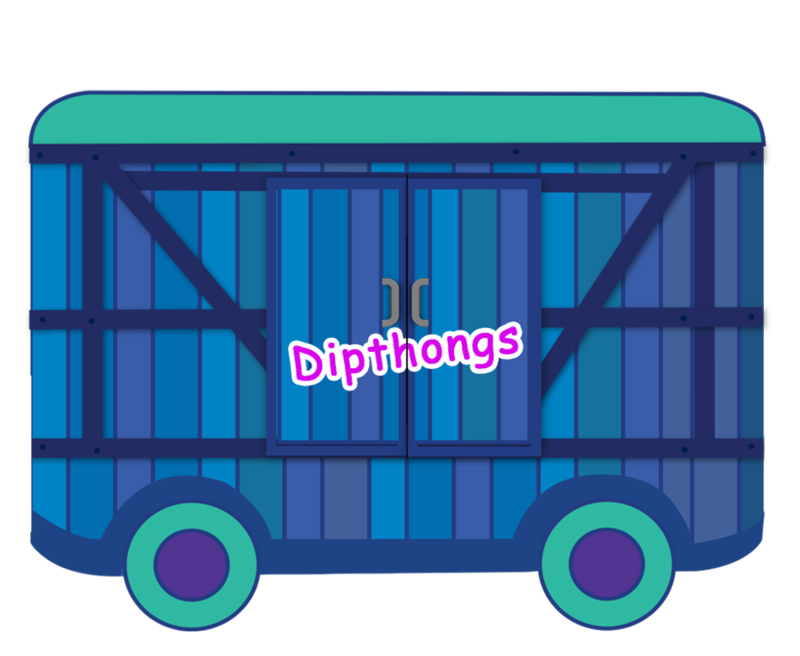 A Diphthong is a sound made by combining two vowels, specifically when it starts as one vowel sound and then moves to another. Continuation of tricky words. A Diphthong is a sound made by combining two vowels. Tricky words taught. 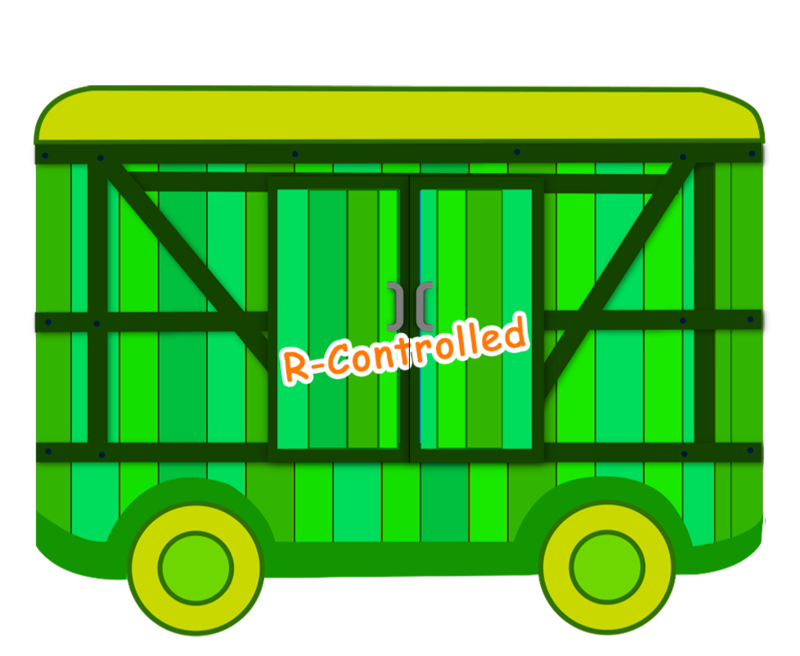 When a vowel is followed by "r" sound, it makes a special sound, these are R-controlled words. More than 80 words are taught. In this boogie, more than 80 R-controlled words are taught. Revision of all the new sounds taught from boogie 4 to 7 (vowel diagraphs, consonant diagraph, diphthongs & r-controlled). Revision of all the new sounds taught from boogie 4 to boogie 7. This module is specifically designed to teach the child to apply the CK/K Rule appropriately with over 80 illustrated words and sentences. More than 80 related words are flashed with illustration. With over 90 words with the Double Consonants, this module makes the learning interactive through flash cards with illustrations. More than 90 related words are flashed with illustration. 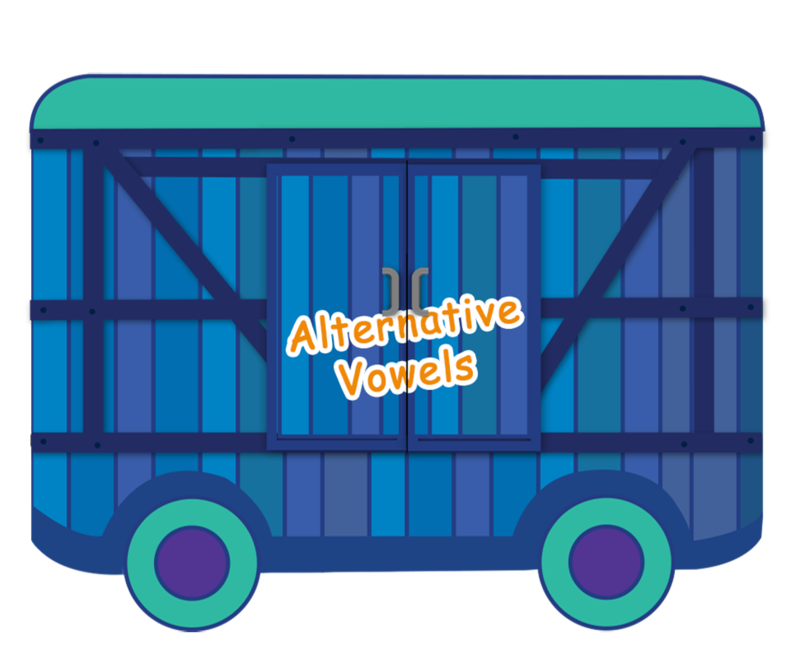 In this module, all the alternative sounds of the vowel diagraph (long vowels) are taught through samples and flash cards. 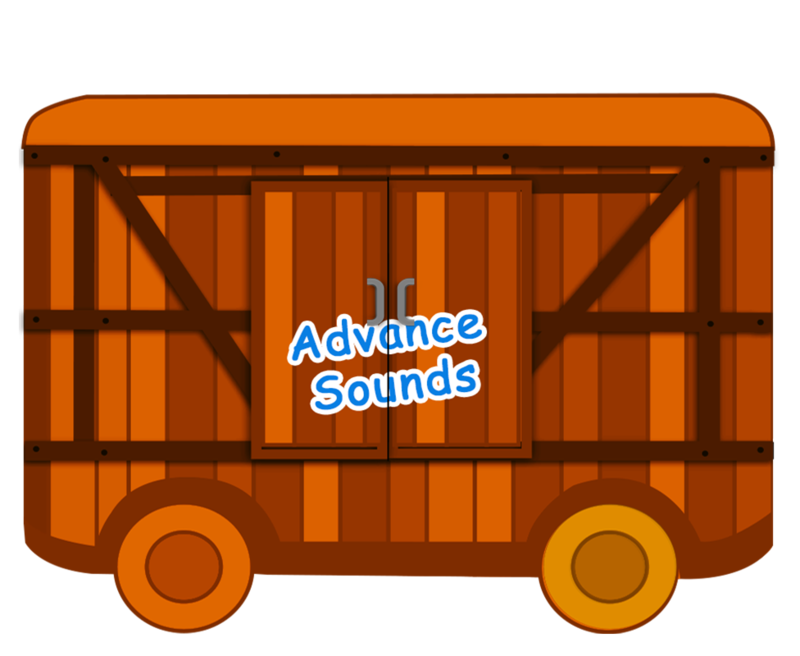 In this boogie, all the alternative sounds of the vowel diagraph (long vowels) are taught. 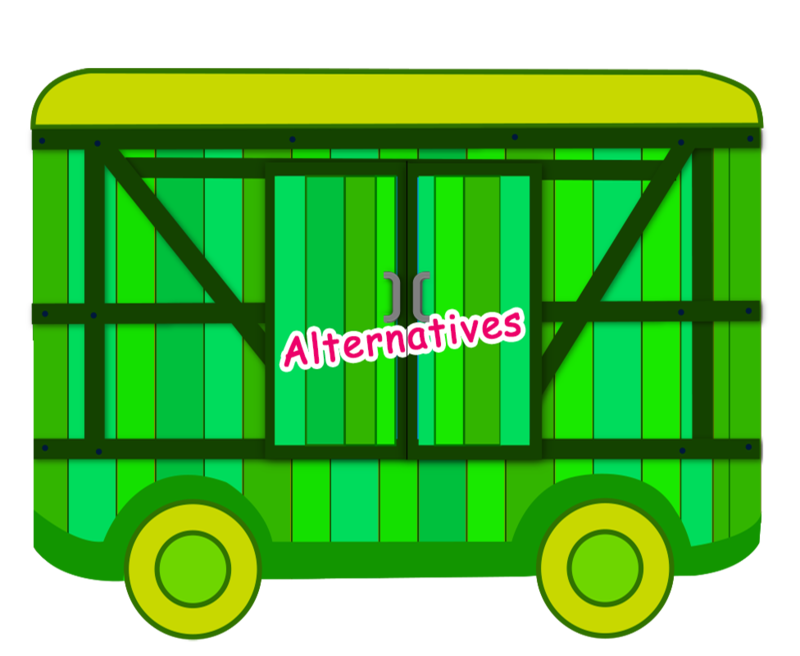 The last module involves teaching all the remaining alternatives sounds of the R-controlled and diphthongs. This boogie teaches the remaining alternative sounds of R-controlled & diphthongs.
" This is Very effective and helps children grow intelligent. My son loves this. " " My daughter finds it interesting, the audiovisual combination helps improve her vocabulary. " The first step involves teaching the child to connect the sounds and blend them to form a word. This module consists of 26 alphabetic sounds, which are further divided into 5 vowels and 21 consonants. 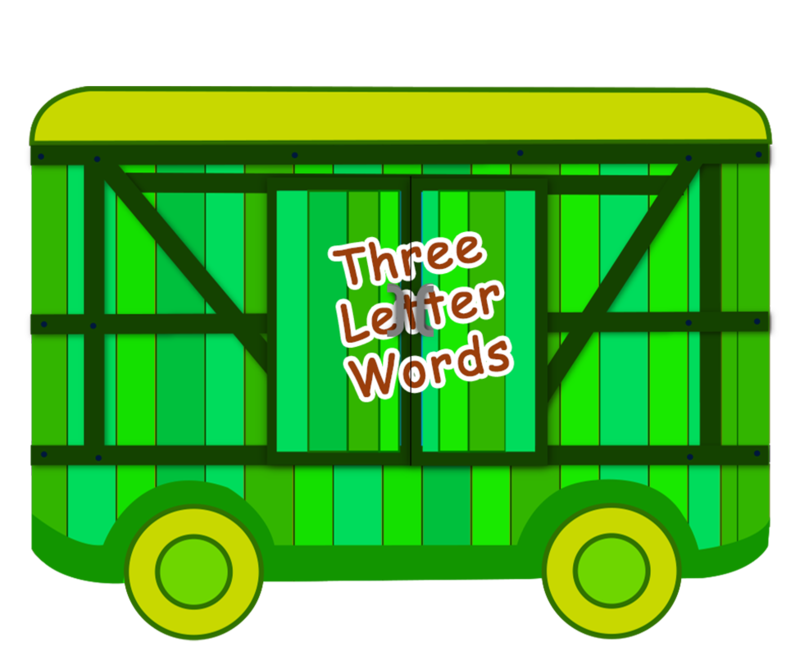 With over 150 'Three letter words', the second module involves building base words that involve all the five vowels(a, e, i, o, u). Tricky words are also introduced (There are number of commonly used words, which do not follow the phonics rules and have to be learnt by sight), which are essential while reading a sentence. Further, with the help of the base words and tricky words, the child can start reading sentences with ease. 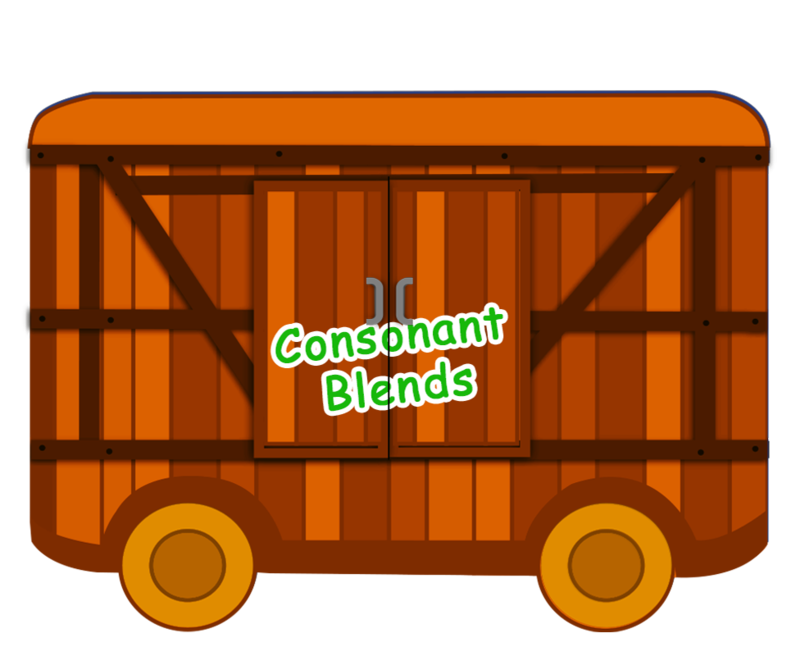 This module is crafted to teach the children maximum possible four letter 'Blends'(A new word formed by combination of two or more consonants letters is called a 'Blend'). Housing over 250 words and 20 sentences, this is the largest module where all four categories of blends are taught(Initial blends with l, s, r and ending blends). 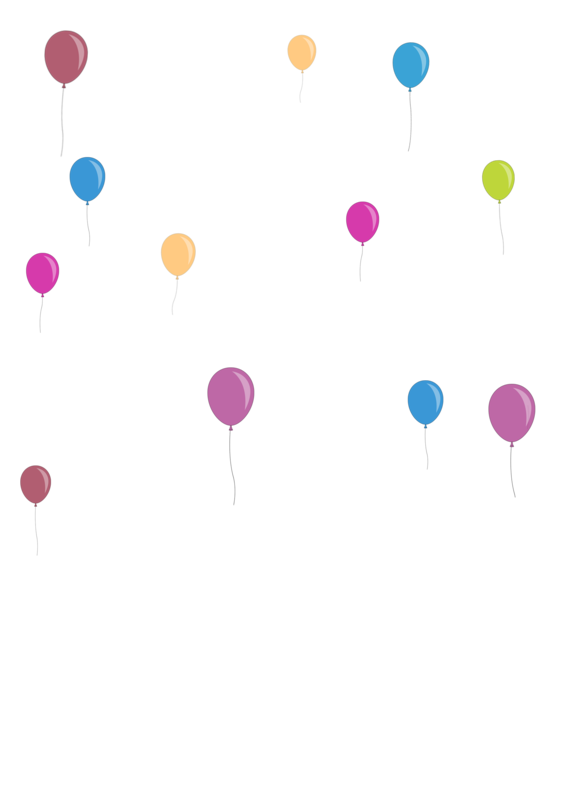 Switching to a higher level, this module introduces new rules that enhance the child's reading skills through 'Vowel diagraphs'(Vowel Diagraphs are a combination of vowels that combine to make a new sound 'ai, ee, ie, oa, ue'). This learning is made easier using over 60 illustrated words, 25 tricky words, sentence flash cards and word-associated sounds. Consonant diagraphs are two consonants that come together to make a new sound. 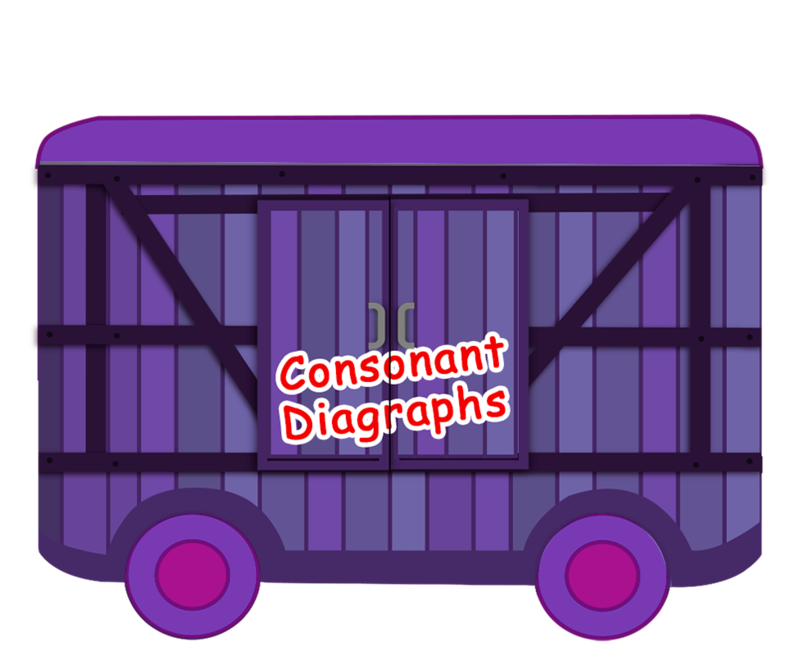 With over 150 words made by consonant diagraphs, these words are taught using illustrations. A Diphthong is a sound made by combining two vowels, specifically when it starts as one vowel sound and then moves to another. Diphthongs are taught using over 70 illustrated words and sentence flash cards. When a vowel is followed by 'R' sound, it makes a special sound, these are known as 'R-Controlled' words. 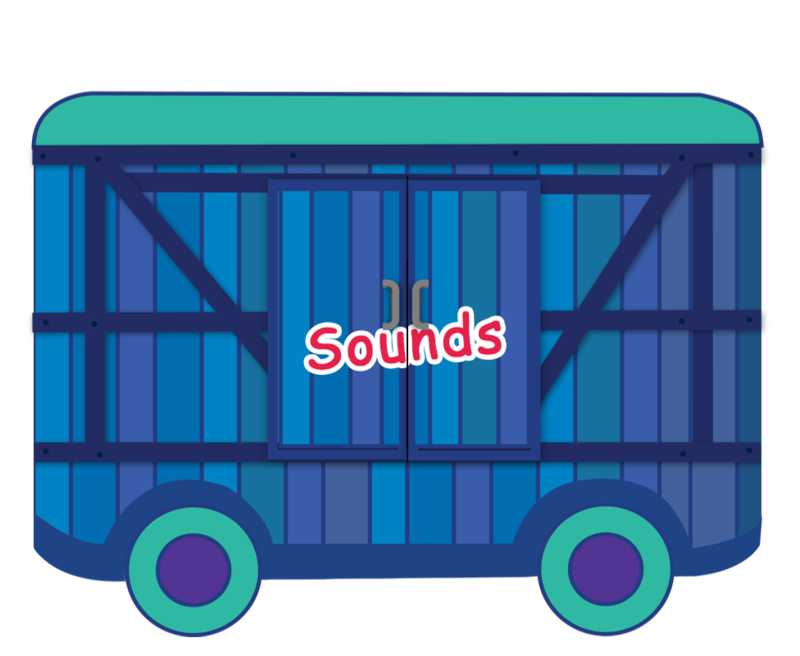 In this module, the child is taught more than 80 'R-Controlled' words, 15 sentences related with the sounds are flashed to help the child perform better. 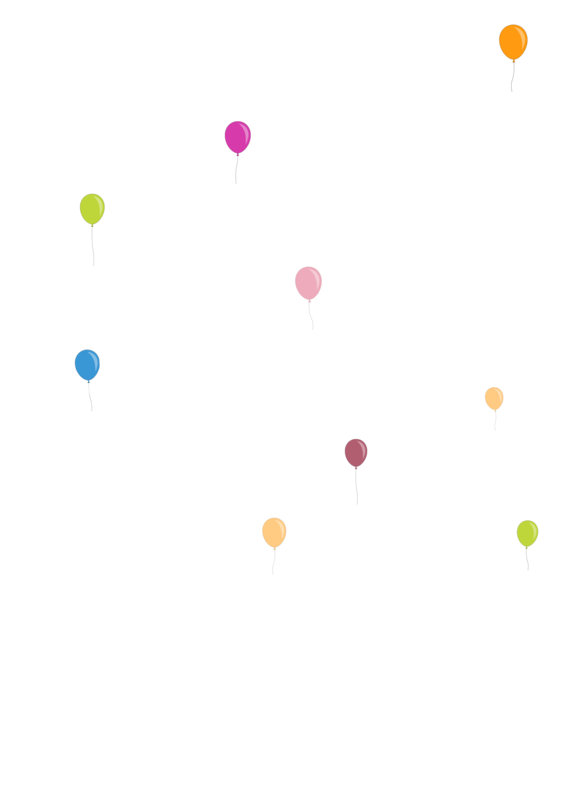 Revision of all the new sounds taught from Module 4 to Module 7 ( vowel diagraphs, consonant diagraphs, diphthongs and r-controlled). 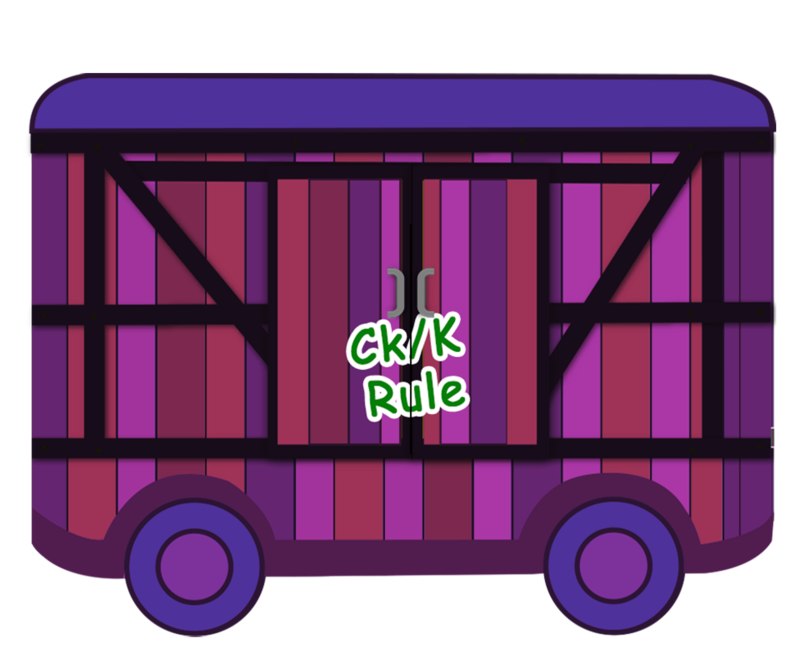 This module is specifically designed to teach the child to apply the Ck/K Rule appropriately with over 80 illustrated words and sentences related to this rule, the child is quick to understand the rule and apply rightfully when required. With over 90 words with Double Consonants, this module makes the learning interactive through flash cards with illustration. In this module, all the alternative sounds of the vowel diagraphs(long vowels) are taught through sound samples and flash cards. The last module involves teaching all the remaining alternative sounds of the R-controlled and diphthongs. Copyright © 2016 PHONICS TRAIN. All Rights Reserved.